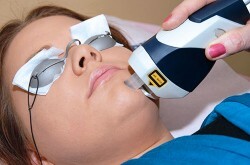 This Laser Physics and Safety USA module is a special version exclusively for U.S. aestheticians, electrologists, technicians, cosmetologists, nurses, nurse practitioners, physician assistants, doctors and other people. It covers relevant standards, regulations and OSHA guidelines governing laser and IPL use in professional settings in the United States. In addition to the Open College Network (OCN Credit4Learning) accreditation, learners will also receive 12 Contact Hours accreditation from AestheticMed Consulting International LLC, a recognized California Board of Registered Nursing provider #16575 and 13 units of Continuous Education (CE) by the NCEA Commission on Accreditation (COA). Typical completion times are 2-5 days, with a maximum 4 week duration. 13 Units of Continuous Education (CE) by the NCEA Commission on Accreditation (COA). This UK Online Laser Training course is a ‘Core of Knowledge’ (CoK) training module. You will get a fundamental understanding of laser and light technology, how light interacts with skin to produce specific biological effects and how to use laser and intense pulsed light (IPL) safely. This course also covers relevant standards and regulations governing their use in a professional setting in different jurisdictions. It is a legal obligation in some UK jurisdictions (Wales & N.I.) and in some states of Australia that a ‘Core of Knowledge’ laser physics and safety course, from a recognized or approved trainer, is a requirement of registration and/or licensing. A training video is provided you to help study the course materials in detail (i.e. workbooks) and complete the online multiple-choice quizzes at the end of each section. Your learning outcome is an independently accredited, nationally recognized, Level 3 Award. This online course is worth 3 CEU learning credits (which is equal to a notional 30 hours of learning). Typically, the course takes 2-5 days to complete, with a 4 week maximum duration.